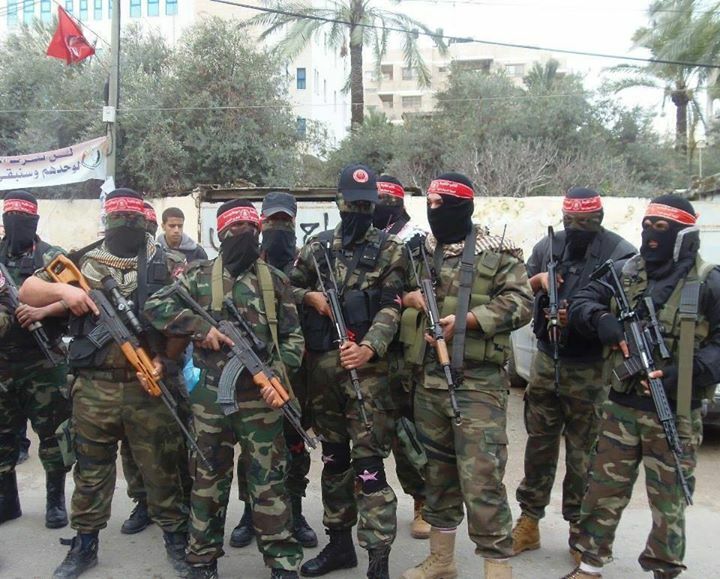 At far right, the image above appears to show a Belgian FN Herstal CAL (Carabine Automatique Légère; Light Automatic Carbine) rifle in the hands of fighters from the National Resistance Brigades, the paramilitary arm of the Democratic Front for the Liberation of Palestine (DFLP). The DFLP are an extreme-left member group of the Palestine Liberation Organization (PLO). This image was shared by an official National Resistance Brigades social media account, in 2014. The CAL is a self-loading rifle chambered for the commonly-encountered 5.56 x 45 mm cartridge. Whilst not especially significant in terms of capability, the presence of the CAL rifle in a conflict zone is noteworthy to those interested in arms proliferation. Whilst the CAL’s predecessor is commonplace in many conflict and post-conflict regions, and particularly within the Middle East and Northern Africa, the CAL itself is largely unknown outside of Europe. Designed under the direction of Ernest Vervier and his successor Maurice Bourlet, the CAL first entered production in 1968. Some sources suggest that only 12,000 – 12,500 CAL rifles were manufactured by FN Herstal before the design was retired from production in May, 1977. The CAL was manufactured in three variants, designated the Mod. 1, Mod. 2, and Mod. 3. The majority of the CAL rifles produced are likely to have been Mod. 2 rifles. The Mod. 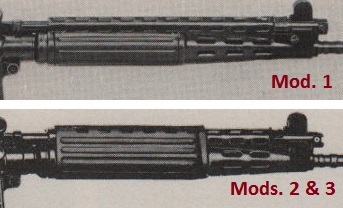 1 is primarily distinguished from the later models by differences in the fore end (handguard), with the latter featuring a larger polymer handguard (see image, below). There are other minor differences in the barrel, cocking handle, and fire selector. The Mod. 3 rifle added a stop-collar to the barrel. The CAL was one of the first rifles to incorporate a three-round burst mechanism – a feature carried through to the FNC – and was made available with both fixed and side-folding stock options, as well as a detachable bipod. When fitted with a folding stock, the rifle was termed the ‘Para’ model, by FN. It feeds from either 20- or 30-round detachable box magazines. The rifle pictured in Gaza is the Mod 2. Para CAL with folding stock, and is seen here fitted with a 20-round magazine. The CAL borrows some components from the earlier FAL, notably the pistol grip, gas regulator, and folding stock. It is differentially identified from its visually-similar successor, the FNC (Fabrique Nationale Carabine; Fabrique National Carbine) by differences in the receiver, fore end, barrel, and grip. 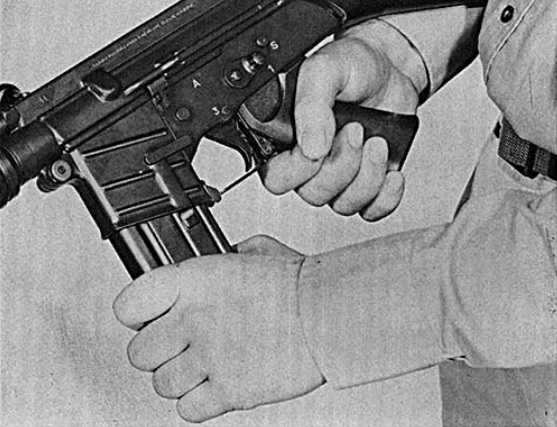 In particular, the receiver of the FNC features relatively flat surfaces on either side of the magazine well, whilst the CAL features three distinctive near-horizontal strengthening ribs (see image below). The FNC is also documented semi-frequently in conflict and post-conflict zones, including several examples recently offered for sale on the illicit market in Libya. The CAL was only produced and exported in very limited numbers. A complete list of recipient countries has not yet been assembled in the public domain, but is likely to include no more than half a dozen or so users. Known recipients include Gabon, Lebanon, and what is now the Democratic Republic of the Congo. Other suggested users include Mexico, Morocco, and Thailand. Special thanks to a confidential source. Technical specifications and receiver image taken from original FN Herstal CAL Mod. 3 manual. Comparison image from Jane’s. If you have access to further data regarding the production or export of CAL rifles, please contact us.